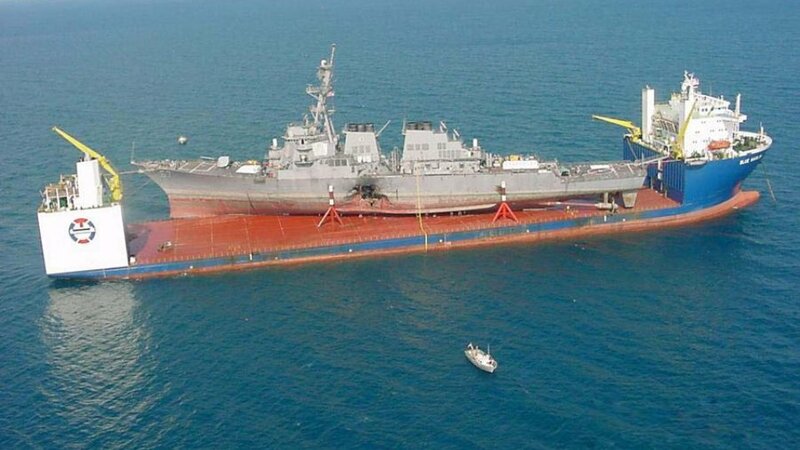 When the USS Cole was disabled by an al-Qaeda attack in 2000, the US Navy faced a serious dilemma: How do you sail a 150m warship from Yemen to Mississippi when it's got a 12m wide gash in its hull? You hire the world's biggest semi-submersible ship to piggy-back it home, that's how. 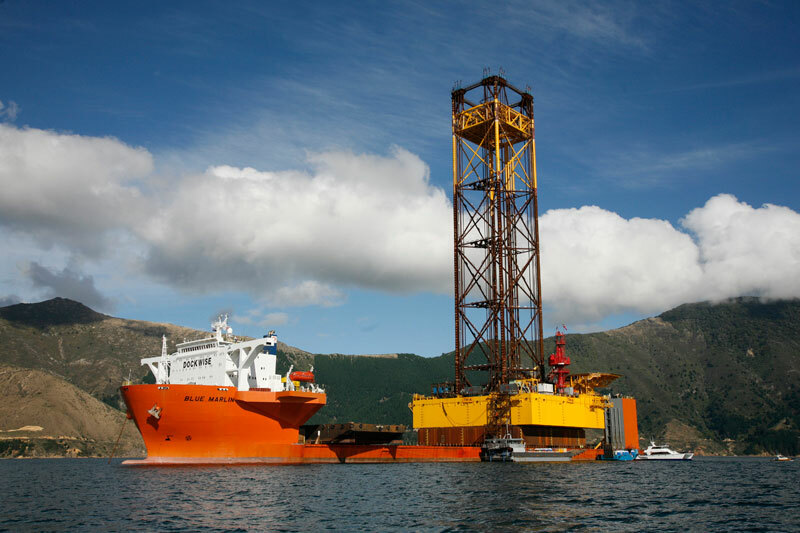 Heavy-lift transport vessels have been around since the 1920s, when the German shipbuilding company DDG Hansa created the first, MV Lichtenfels. They're primarily of the semi-submersible ship (SSS) variety, also known as "flo/flo" for float-on/float-off. 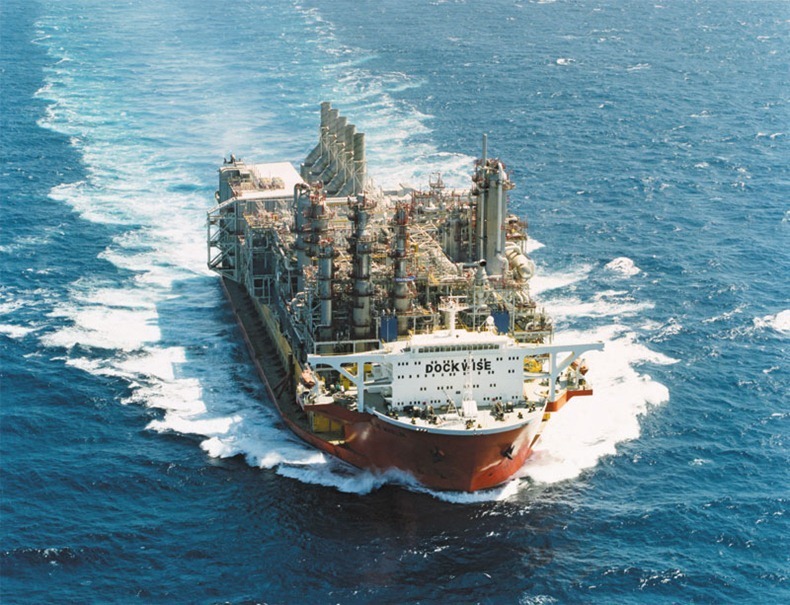 The ship's low well deck allows it to scoop up goods by flooding its ballast tanks to submerge its deck so that it can move into position beneath its load before emptying the ballast tanks and rising back out of the water. 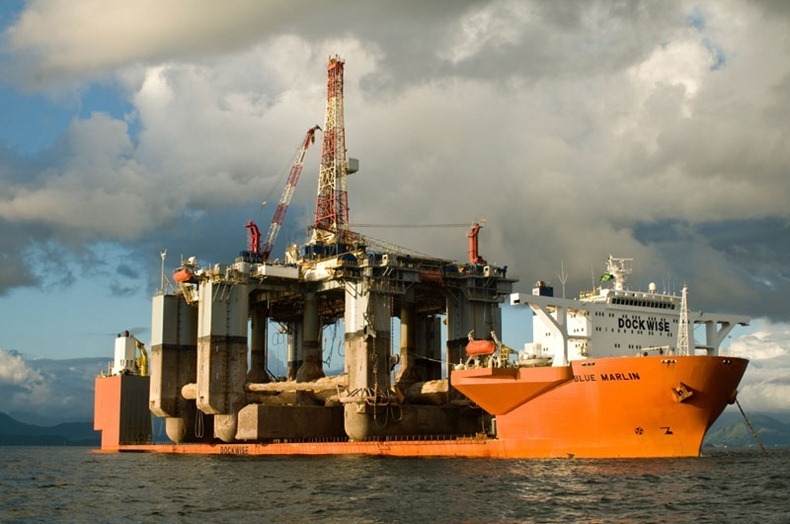 Among heavy transport vessel fleets, Netherland-based Dockwise Shipping is king. It operates 19 heavy-lift transport ships, the world's largest such fleet. 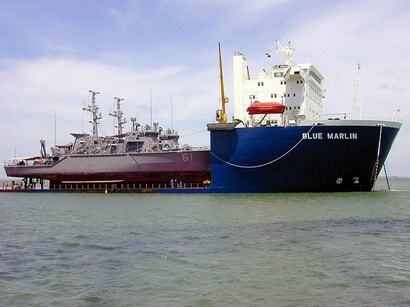 The MV Blue Marlin is the crown jewel among that armada. 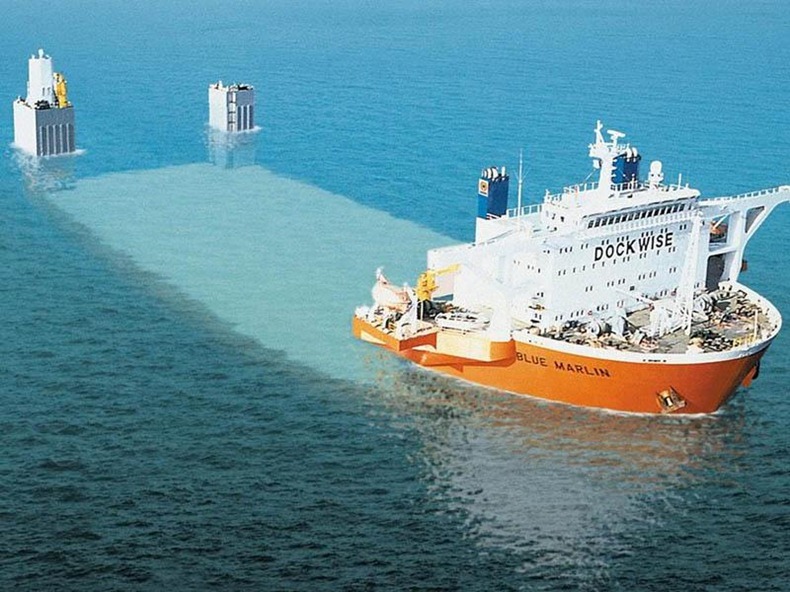 At 225m long with a gross weight of 56,000 tonnes and a deck larger than two American football fields, it's the largest semi-submersible ship on Earth. The Blue Marlin is outfitted with 38 cabins, accommodates 60 people, and even features a workout room, sauna and swimming facilities. No wonder it's the ship the US Navy tapped for the USS Cole retrieval. And it's not just disabled warships like the USS Cole that this ship totes, the Blue Marlin also works hauling massive oil rigs from shipyards in Asia, where they're built, to the Gulf of Mexico and other sites around the world, where they operate. 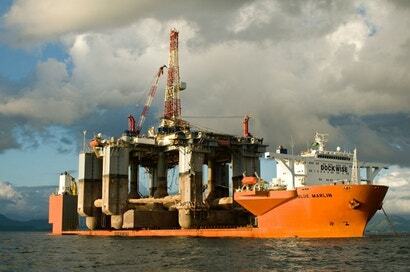 Sure, self-deploying oil rigs could well putter their way across the Pacific on their own. But the MV Blue Marlin, with a 14-knot top speed, makes the journey in a quarter the time thanks to its 17,160 HP primary engine. 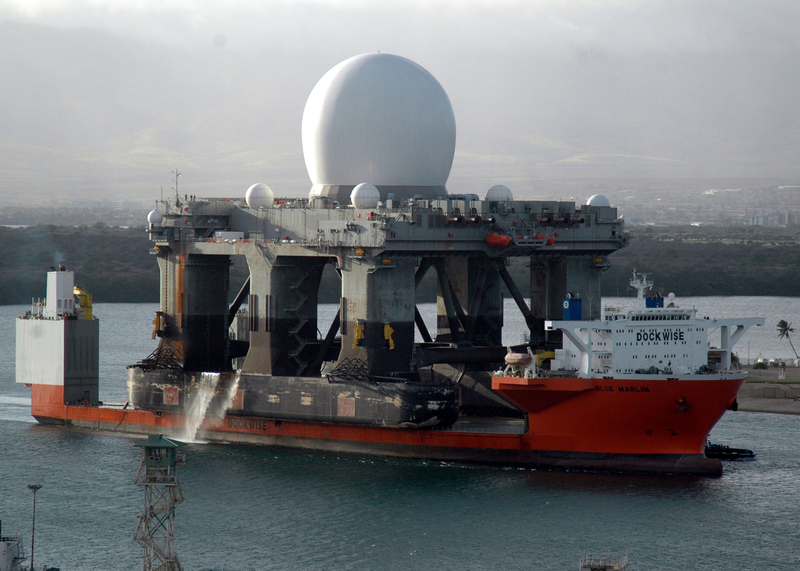 In 2005, she carried the Sea-Based X-band Radar Unit all the way from Corpus Christie, Texas, down around the Southern tip of South America and back up, past Pearl Harbor, Hawaii, to Adak, Alaska. 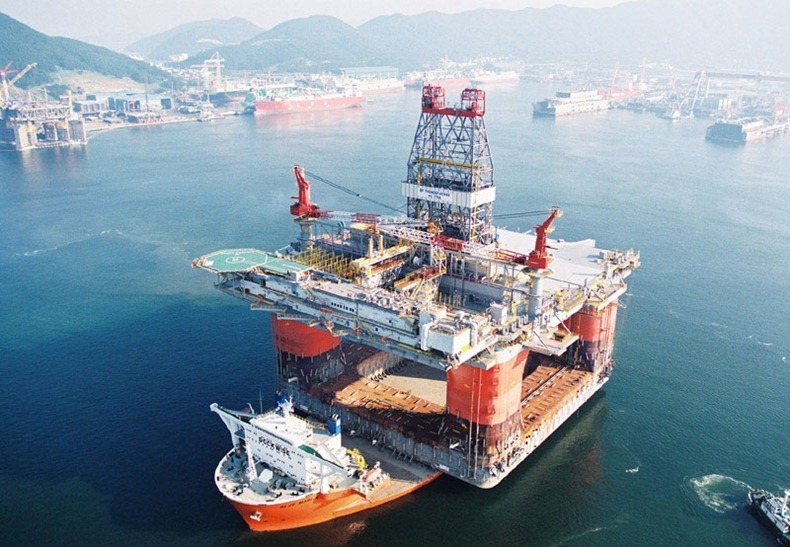 In 2006, the Blue Marlin set records when it hauled the world's largest semi-submersible oil platform, the 54,000-tonne Thunder Horse PQD more than 24,000km from Okpo, South Korea to Corpus Christie, Texas.